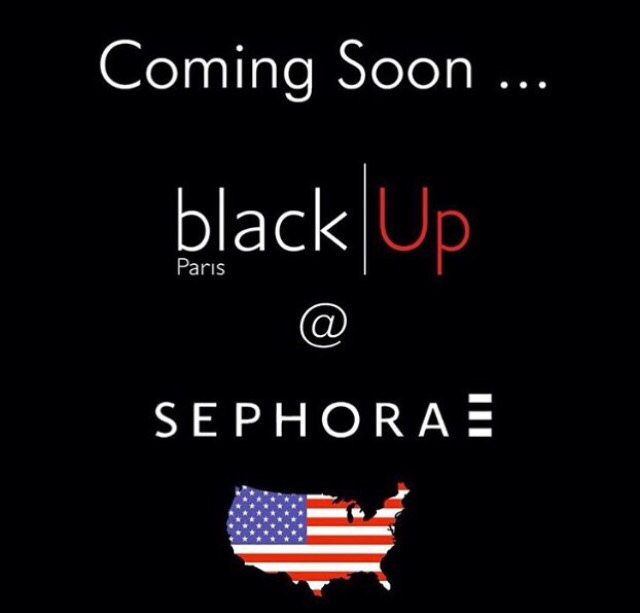 Black|Up Cosmetics Coming to Sephora! I've been eyeing black|Up Cosmetics for awhile. I've heard good things about their products, I love the shade range and as a bonus they're black owned. But shopping online for cosmetics is always hard. You end up having to guess or buy multiple shades you may or may not be able to return just to find the right fit. So that's why I was so excited to learn that wouldn't be an issue anymore with this French brand as they are now coming to Sephora! Founded in 1999 by an African makeup artist, black|Up Cosmetics is the first dedicated upscale beauty brand to magnify black and mixed beauties. black|Up develops a true expertise answering darker complexion’s specific needs and offers products that pair professional quality and pleasure of use: velvety effects, mat or powdery finishes, perfect coverage, ultra vibrant colors, 100% non-ashy finish... Thanks to its unique offer, black|Up has become a key player in the makeup world that seduces black and mixed women as much as all the makeup addicts of the planet. Women of color keep your eyes out for this brand. Their prices are premium with lipsticks at $22.50 and foundations ranging from $39.50-$41.00 but it just might be worth it for a brand that truly understands our unique skin needs and shade range. Check out more about this brand here.